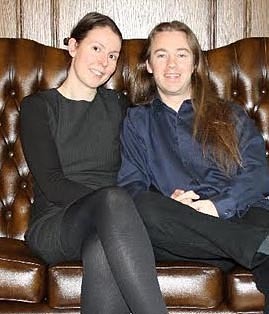 Sean Williams and Zoe Cunningham are two fast improving backgammon players from the UK. Whilst they are not two of the best players in the world (yet! ), they are two of the nicest, most interesting, and most involved players in the world. They are one of the few husband/wife Open level players in the world, and they both have great attitudes and interesting perspectives I thought would be great to share with the entire backgammon community. Where do you guys live, and what do you do for a living? Zoe: Sean and I live in London, England in a small flat in Bloomsbury. I am a Software Engineer at a bespoke programming house called Softwire. We pride ourselves on our 100% record of delivering our software projects on time and to budget. I also run a small media company, Mind Engagement Media, that specialises in broadcasting intellectual gaming events. Sean has just been appointed Managing Director of G4S Welfare to Work. He is currently serving a six month "gardening leave" notice period from his previous employer. Tell us a little about how you each got into backgammon, and what paths you each took to becoming an Open player? Zoe: We started playing backgammon at university. We played a lot of games there including Bridge, Canasta, Chess, Settlers of Catan and any other games that we could get our hands on. We didn't play backgammon seriously though until after we left university. Sean found Gnu on the internet and started playing against it. We both started going to the Fox Reformed Wine Bar in North London. They held a regular Monday Night Tournament that had some of the best players in the UK playing in it. We went along, got beaten and wanted to get better so that it wouldn't happen again. We started playing in BIBA tournaments and Mike Main's fantastic London tournaments. Then we attended a couple of international tournaments and it grew from there. We are fortunate to earn enough money to be able to compete in the Open Division and both believe that you should always play against the very strongest players that you can. This makes us bad gamblers but better games players. Backgammon couples where both are Open level players is kind of rare. Which of you is the better player or are you about even? Sean: Zoe is much, much more naturally gifted at the game than I am. Zoe is a mathematician and that often goes hand-in-hand with an extremely good positional memory and general feel for the game. Zoe is able to frame technical backgammon problems in the right terms. She will often see things that I don't. I work at the game. I study, I read books, I learn reference positions, I analyse my matches. If you work harder than someone you can overcome a deficit in natural ability. Zoe: In other words, Sean is best but he wasn't to start with. Did you guys meet through backgammon? Was it love at first sight, or did it take a while? Sean: Zoe and I met eleven years ago at Trinity College, Cambridge where we were both undergraduates. Zoe was one of only eight women studying Mathematics and I studied Philosophy. We met on the third day queuing to get our Student Cards and became best friends. We shared a sitting room in our second year and started seeing each other at the end of that year. We have lived together ever since and got married in August 2008. How often do you both play? Where do you play mostly? Sean: I play on DailyGammon every day. I try to play against Gnu or XG every day. We play fortnightly at Backgammon in Camden. Zoe: I mainly play live at Mike Main's events though I am increasingly moving away from playing at live events to helping televise them. My company, Mind Engagement Media has worked on the World Series of Backgammon and Backgammon Live in London. Mind Engagement Media will be filming Denmark vs. the World at the Nordic Open in a couple of weeks' time. What activities other than backgammon do the two of you enjoy? Are there any other games or activities where you excel? Zoe: We enjoy playing board games, sitting in cafes, walking, eating, socializing, reading, discussing ideas, watching murder mysteries and sleeping. I also enjoy singing and performing. We play a lot of games to a reasonable standard. Sean: In addition to the above, I enjoy running and drinking wine. Do you play doubles together in tournaments? Have you had some success? Zoe: We always play doubles together in tournaments. We have had some small successes including being runners-up in the first ever Fox Reformed Doubles Tournament that we played in. Sean: At the risk of sounding like a Luddite, I think that the game has survived for so long because it is pretty good as it is! That said, I am 100% in favor of compulsory clocks and no right of veto on video recording matches. Zoe: Variable Pools are a great way of allowing people to play at a level they feel comfortable with whilst increasing the prize pot for bigger money players. What are some of your pet peeves about backgammon players or tournaments? Sean: Most backgammon players and tournaments are fantastic. For me, Mike Main's tournaments exemplify what a great tournament should be like: they start on time, they finish on time, everyone knows who and when they are playing, the rules are crystal clear, players know what standards of behavior are acceptable, sportsmanship and gentlemanly conduct are de rigueur, the emphasis is on everyone playing backgammon and having a good time. Deliberately not telling your opponent that their time is running. Losing to a weaker player and then telling everyone how appalling your opponent was and how you should have won. Possibly recreating some of your opponent's misplays on a nearby board for added emphasis! Zoe: I hate people criticizing things without lifting a finger to help out. Sean: Play the bots on tutor mode. Read and study backgammon books. Analyze every match you play. Review your mistakes and understand why they are mistakes. Get lessons from good players. Play in chouettes with better players. Zoe: I agree with Sean. Have you ever had a big fight over backgammon? Zoe: No, we don't really fight about anything. Sean: We don't argue about very much at all. The only time I can remember that we came close to falling out was at a Backgammon in London Doubles Match where we had a 5-5 to play in the position below at 4-away, 1-away Crawford. Zoe said something like, "It doesn't hit," and for some reason I believed her! We played 22/12, 21/16, 10/5. Of course we saw the error as soon as we picked the dice up. I was absolutely livid with myself (and a little bit with Zoe) for making such a colossal blunder. It wrecked our error rate (taking us to −7.2) and nearly lost us the match. As it happened we won this game but lost the match anyway. Sean: Playing Gnu a lot made me a much better player. I am still amazed by how many errors I make where I just haven't applied Magriel's Safe-Versus-Bold criteria to the position. Zoe: Filming gets me access to lessons from some of the very best players in the world. One of the best lessons I ever had was from Mochy on Priming Structure versus Blitzing Structure. Some of the highlights are here. How are you working to improve your game? Sean: Currently I am reading and studying books, playing Gnu and XG on tutor mode, collating my errors and variations on those errors, revisiting those errors at regular intervals, studying my DailyGammon errors, learning reference positions, studying the 2nd rolls and trying to understand why rolls are played differently. I am also giving lessons to a few intermediate players. There is too much to learn and too little time. Zoe: I wait for Sean to learn things and then try to learn by osmosis from playing him. He summarises for me! Do you play online? Where? Sean: I play on DailyGammon every day. I don't like playing online for money but will play qualifiers to live events. Zoe: I don't play online at all other than a few live qualifiers. Have either of you ever had a major tournament victory? What's the biggest win you've ever had either together or alone? Zoe: Probably my biggest tournament win was the Mind Sports Olympiad Cambridge Tournament in 2005. I was Finalist in the 2010 Scope Charity Tournament at the RAC. Sean: I was Champion of Champions at Backgammon Live in London in 2007 and 2009. I won the Cancerbackup Tournament at the Reform Club in 2008. I was Runner-Up in the Consolation at the World Series of Backgammon in Prague in 2009. What are your plans for tournament play this year? Zoe: My company, Mind Engagement media, is filming the Denmark vs. the World event at the Nordic Open in a couple of weeks and I will be producing and presenting. Unfortunately this means that I won't have time to play. We hope to attend all of Mike Main's Tournaments, especially the London Open in May. We play regularly at the RAC Club Quarterly Tournament in Pall Mall. We hope to attend the BIBA English Open, the Bristol Open, the Japan Open and the French Open later on in the year although work may get in the way. Sean: I am playing in the Nordic OpenI was fortunate enough to win a seat through an online satellite. I will be in San Francisco for the first couple of days of the US Open although I have to fly to Vegas on the Saturday so cannot play in the tournament proper. In your recent travels to the US, what were your favorite cities, adventures, or the most interesting things you saw? Sean: On our last US trip we went to Santa Fe and Hawaii. Santa Fe was beautiful in the snow and a great town all round. We will definitely be back next year if we can get the time off work. Hawaii had breathtaking views and scenery and we had a great time there too. We love the States. Zoe: We stopped off in LA for two nights on the way back from Hawaii to the UK. LA was fabulous. The best thing about the US is the food. We ate a lot while we over there. Do you have any philosophies of life you care to share? Sean: "Philosophers have only interpreted the world; the point is to change it!" That said some of my favourite philosophers include Plato, Hobbes, Descartes, Hume, Bentham, Mill, Russell and Wittgenstein. Zoe: Now that fit into succinct phrases! Sean: At the moment I am on a period of 'gardening leave' before taking up my new job so I can devote many hours to studying and playing. When I am working this becomes impossible. Zoe: Probably 2 or 3 hours a week. Sean: Can I pick four? Trice's Backgammon Boot Camp, Kleinman's Vision Laughs at Counting, Magriel's Backgammon and Lamford's Improve Your Backgammon. Zoe: I prefer Lamford's Starting Out in Backgammon, which is a great beginner/intermediate text. Tell us something about your youth, where you grew up, where you went to school, your family, where you live now. What are your plans for the future? Sean: I grew up in North West London in a town called Ickenham. I went to secondary school in Elstree before going to Cambridge to study Philosophy. My youth was spent playing guitar, playing games, hanging out with my friends and not working as hard as I should have. I have a very close immediate family including my Mum, Dad and my brother who is just starting to play backgammon. Zoe: My life story is far too long to put on paper. My plan for the future is to make backgammon as big as poker. Sean: I think that backgammon is already a hugely popular game. It's just not very well organised. Whenever Zoe and I play in a pub in London three or four strangers will come up to us and say that they play at home, or that they used to play and that they love the game. The challenge is getting these players into the wider backgammon community. I would estimate that well over half of all homes in the UK have a backgammon board. I don't know what this figure would be in the States. 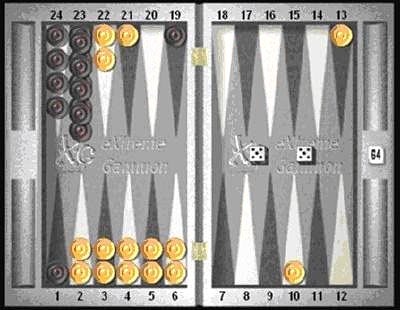 I think that backgammon will only become really popular on TV when interactive TV makes it possible for people at home to bet live on the game in real time with fluctuating odds. You guys might need to repeal your gambling laws to make that possible over in the US. Who are your heroes in backgammon, people you respect either for their play or for other reasons? Sean: Great players who are prepared to share their knowledge of the game with others. Mike Main for his tireless devotion to running absolutely brilliant backgammon tournaments and for trying to bring new players into the game. Phil, I think that you are doing a great job of popularising backgammon, injecting fresh thinking into the game and bringing the community together. Do you use Snowie, or ExtremeGammon, or Gnu Backgammon, or some other bot often? Sean: Yes, I use Gnu and ExtremeGammon. I bought Snowie but found it cumbersome to use. Zoe: No, but I know that I should. Zoe: It's fantastic to meet so many different interesting people through such a great game. I hope to see many readers of this site at the Nordic Open in a couple of weeks.